Home NEWS World premiere: Powerful Audi with 450 horsepower !!! World premiere: Powerful Audi with 450 horsepower !!! Audi at the current Frankfurt Motor Show presented the new powerful caravan – RS4 Avant.The most powerful car from the family of the new Audi A4 / A5 under the bonnet has a 2.9-liter TFSI bi-turbo V6 engine that has 450 horsepower and a maximum torque of 600 Nm.The power is transmitted to all four wheels by default through the Audi Quattro system and the modified eight-speed automatic transmission. 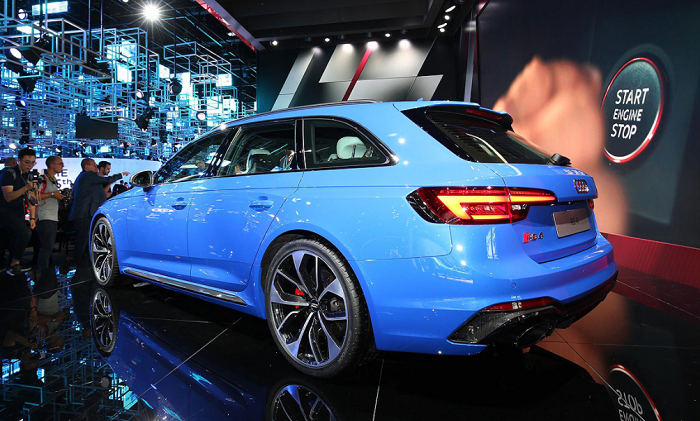 From 0 to 100 kilometers per hour, the new RS4 Avant develops in just 4.1 seconds, and the maximum speed electronically is limited to 250 kilometers per hour. Certainly, with the optional RS Dynamic package, the speed increases at 280 kilometers per hour.Just for comparison, the fastest car of Audi is faster in 0.1 seconds compared to its rival Mercedes-AMG C63 Estate featuring a bi-turbo V8 engine and a seven-speed automatic transmission.It is a real pleasure to drive this car, we look forward to seeing what the new Audi can really offer to us with these performance.According to factory estimates, the new RS4 Avant is lighter than 80 kilograms in comparison to its predecessor (the mass is 1,790 kilograms), average 8,8 liters per 100 kilometers and emits 199 grams of CO2 per kilometer. 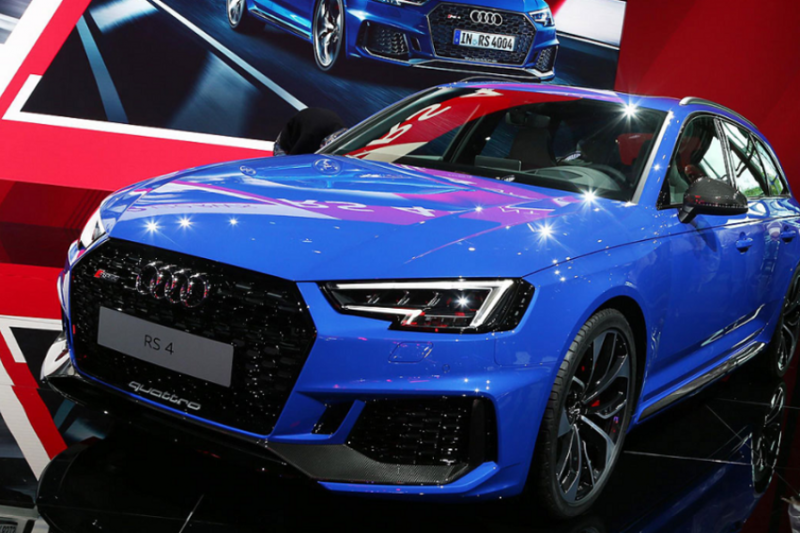 Audi has already started receiving orders for the new RS4 Avant, and the cheapest version of this powerful caravan on the market in Germany is 79,800 euros.The price of this car is high, but the one who loves the avant car, and especially the Audi worth for each and every couple you pay. Enjoy the photos, and we hope for a quick test drive and see if it’s worth it. Previous articleG63 and G65 Exclusive Edition!!! Next article2018 BRABUS ROCKET 900!!! Tuning for Audi A3 – Is It Worht It? The new Jeep Wrangler or the last Mohicans!! !